Gordon Stettinius founded Candela Books in 2010, with an initial goal of producing a book featuring the work of New York photographer Gita Lenz whose beautiful imagery had been all but forgotten since it was originally produced in the 1940s and 1950s. Lenz’ story is a compelling one. She had been exhibited prominently at the Museum of Modern Art, and elsewhere, but her career was cut short due to the inherent challenges facing most anyone trying to make a career in photography in the mid-20th century. Although she had many noteworthy accomplishments and her work is represented in both public and private collections, there existed no book dedicated to the life’s work of this artist. So, in an attempt to augment the legacy of this talented photographer, Stettinius created Candela Books to publish that book. Following this first book, Candela Books had the very good fortune to work with photographer Shelby Lee Adams on his fourth monograph, Salt & Truth, which continues his life's work of photographing the people living in the hollers of Eastern Kentucky. Salt & Truth was released in October 2011. Candela's third book was Sunburn by Chris McCaw, published in late 2012. McCaw is a groundbreaking artist in his own right. Over the past eight years, McCaw has managed to coax highly controlled and delicate depictions of primeval landscapes and seascapes while at the same time allowing the sun - with a variety of home made cameras - throughout its trajectory, to graphically sear its path across the surface of his prints. Candela has also particpated in fine art photography fairs and numerous national portfolio reviews: Critical Mass, Photo Lucida, PhotoNOLA, Atlanta Celebrates Photography, LOOK3, DC Fotoweek, as well as various university portfolio reviews this past year. Our commitment will be to the quality and design of the printed medium and we have contracted to work with D.A.P. to handle our distribution to the American and European markets. Working with established artists and less recognized artists alike, our emphasis will be upon work that challenges the contemporary aesthetic, work that promotes societal change, work that embraces the intuitive depths of artistic spirit. Work that sponsors reaction, contemplation, change. 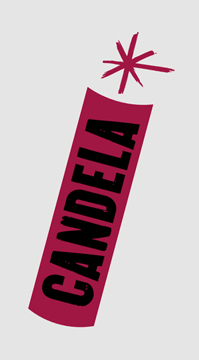 In 2012, Candela Books intends to bring 2-3 projects to market. Stay tuned, support photography and please keep in touch.